Join us for the 24th Annual Fort Koshkonong Rendezvous on May 25-26, 2019 at Rock River Park on the west side of Fort Koshkonong in Fort Atkinson, Wisconsin. 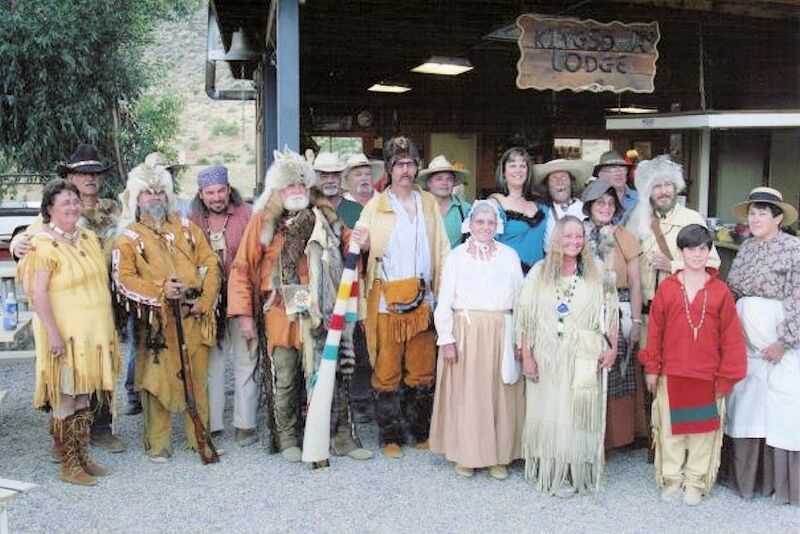 Get a real taste of pioneer life at this authentic reenactment held in the “Fort”. The Fort Koshkonong Rendezvous is always held on Memorial Day Weekend. Take a step back in time at the Fort Koshkonong Rendezvous with the early pioneers of the 1800s, as people reenact this historical time period. Stroll through the park and view demonstrations and exhibits of how tasks were accomplished. 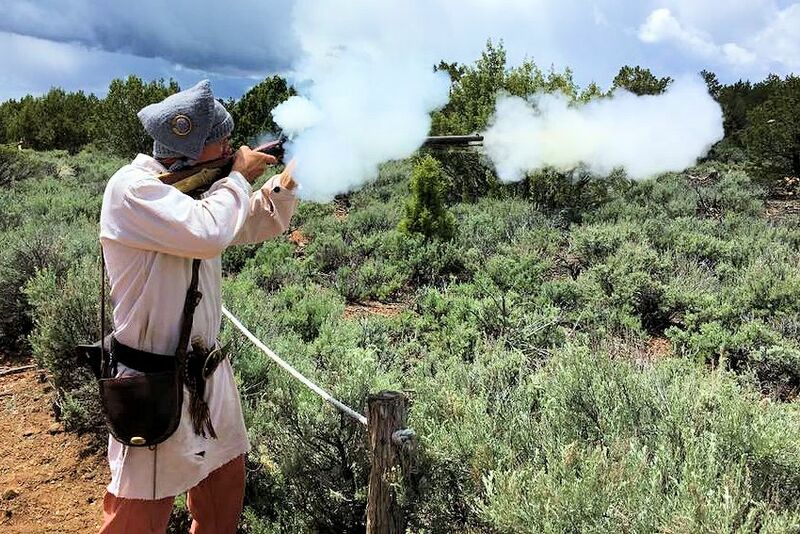 Demonstrations include black powder shooting and competition, pioneer demonstrations, interactive old-time chores, birch bark canoe demonstration, and blacksmithing. Sit back and relax on a horse-drawn wagon or sample fry bread, root beer, and kettle corn from our camp chefs. Visitors to the Fort Koshkonong Rendezvous will capture the lifestyle, from clothing worn by the pioneers to their housing. Continue on to see the old “Fort”, a replica for local militia units during the Black Hawk War of 1832. Fort Atkinson’s real “fort” was built in 1832 during the Blackhawk War by General Henry Atkinson’s militia near the junction of the Bark and Rock rivers. At the time, Wisconsin was still part of the Michigan Territory. A stockade replica of the original Fort Koshkonong stands in Rock River Park and is where much of the rendezvous action takes place. These areas offer hands-on experience (chores and games), like children would have experienced on the early American frontier. These children’s chores include carrying water, sawing wood, and even building a miniature log cabin. There also will be a candy cannon fired, touching off a race to gather the projectiles. For those wanting more of a challenge, competitions taking place throughout the weekend include primitive archery, black powder shooting, tomahawk throwing, bull toss (a 36-pound stone), fire starting, and a women’s fry pan toss. Parking for the event is free, with horse-drawn wagons available to ferry visitors between the south camp, located in the stockade replica, and the north, where most of the competitions and vending will take place. Camping or Facility Information: Participants have right to camp/stay on Park Grounds. Chamber of Commerce provides ice machine for participants. Bathrooms on site. Access park from Hwy 106; Exit on Riverside Drive. Directions: Event occurs at the Rock River Park located on the west side of Fort Atkinson. Access Park from Hwy 106. Exit on Riverside Dr. Parking is adjacent and Free. Mark your calendar today so you don’t miss the next Fort Koshkonong Rendezvous on Memorial Day Weekend at Rock River Park on the west side of Fort Koshkonong in Fort Atkinson, Wisconsin.